New York Mets manager Mickey Callaway decided to minimize the disruption of his best starting pitchers at the expense of the final member of the Mets’ rotation. 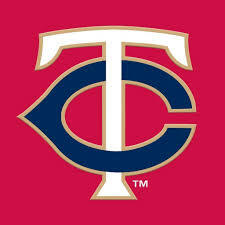 And, oh yeah, the Minnesota Twins, too. The Mets’ top two pitchers will be on display during a brief two-game interleague series against the visiting Twins that begins Tuesday night, when reigning National League Cy Young Award winner Jacob deGrom takes the mound against Minnesota. 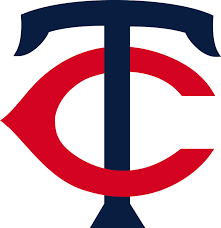 Both teams were off Monday following losses in the rubber games of their preceding series Sunday, when the host Mets fell to the Washington Nationals, 12-9 while the visiting Twins were edged by the Philadelphia Phillies, 2-1. DeGrom (2-0, 0.00 ERA) will look to continue picking up where he left off last season when he opposes Kyle Gibson (0-0, 9.64 ERA) in a battle of right-handers. DeGrom was always scheduled to face the Twins, but as of late last week, Callaway had him slotted in for Wednesday’s finale on two days of extra rest — the Mets were also off Friday, the day after their home opener — in order to keep fifth starter Jason Vargas taking his regular turn. On Saturday morning, though, Callaway decided to skip Vargas and start deGrom and No. 2 starter Noah Syndergaard so that the latter two were only pitching with one extra day of rest. DeGrom last pitched Wednesday while Syndergaard started the Mets’ home opener last Thursday. The 26-year-old Syndergaard posted a 3.03 ERA last year, when his average fastball was clocked at 97.4 mph. Vargas, who turned 36 in February, threw his average fastball exactly 11 mph slower on his way to recording a 5.77 ERA in 2018. Nobody has disrupted opposing batters since the start of last season like deGrom, who may actually be better in 2019 than he was in 2018, when, despite meager run support and a 10-9 record, he cruised to the National League Cy Young Award by posting a 1.70 ERA. DeGrom has allowed just eight hits and two walks while striking out 24 over 13 innings in two starts this season. He has allowed three runs or fewer in 31 straight starts, the longest-such streak in history, and his 26 consecutive quality starts tie Bob Gibson (1967-68) for the big league record. And for good measure, deGrom even homered against the Miami Marlins last Wednesday, when he whiffed a career-high 14 over seven innings of three-hit ball in the Mets’ 6-4 win. Gibson will likely need to be better Tuesday than he was in his season debut last Wednesday, when he didn’t factor into the decision after allowing six runs (five earned) and eight hits over 4 2/3 innings but was spared the defeat when the Twins came back to edge the Kansas City Royals 7-6. Gibson was one out away from completing five innings of one-run ball with a 3-1 lead when seven straight Royals reached base — via five hits, plus a walk and an error — as Kansas City went ahead 6-3. DeGrom has never faced the Twins. He is 6-7 with a 2.91 ERA in 18 interleague starts. Gibson is 0-2 with a 7.27 ERA in two career starts against the Mets. He is 4-9 with a 5.46 ERA in 16 interleague starts.